Did you know there are dozens of species of birds that can be spotted on the Alamosa City Ranch? 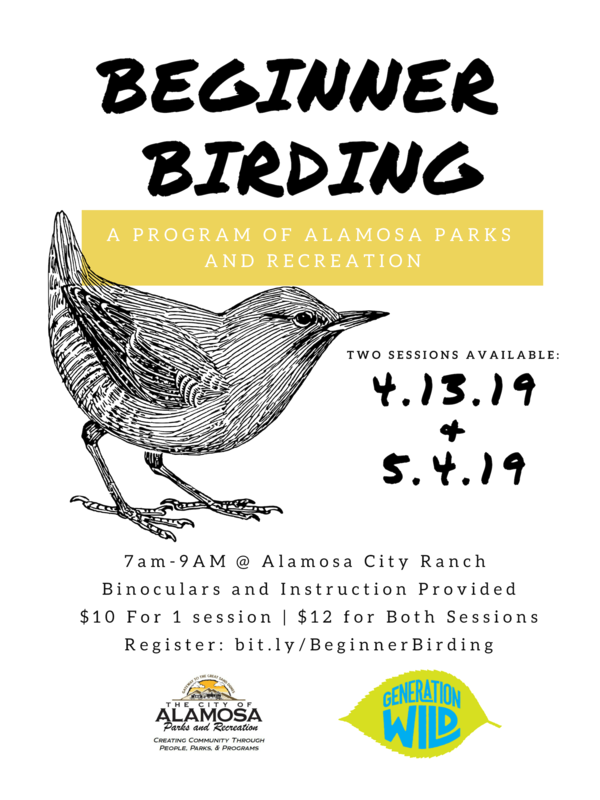 In the new program “Beginner Birding” you will learn the basics of identifying different species of birds by their color, shape, size and song. This course will give you the basic tools to be able to begin birding on your own! 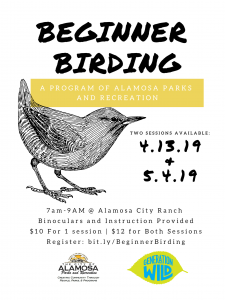 Instructors Lance and Rachel Cheslock will share with you their passion for birding and will help you begin to identify and document species of birds common to South Central Colorado.